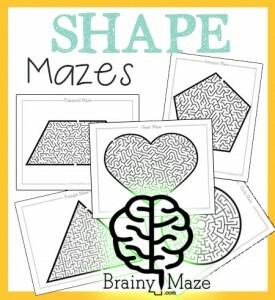 Mazes are great for children of all ages! 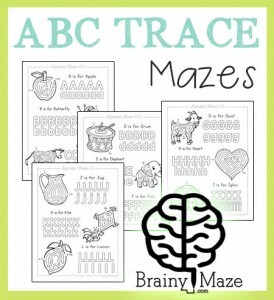 Tots and Preschoolers love the satisfaction and joy of solving a puzzle or a maze, which in turn builds upon key learning skills like confidence and small motor control. 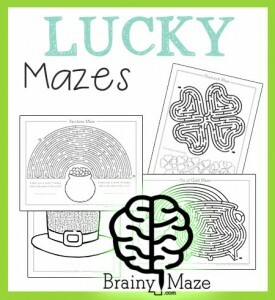 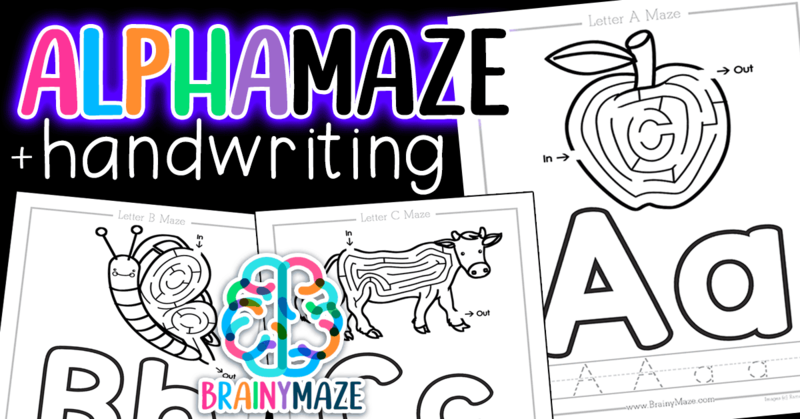 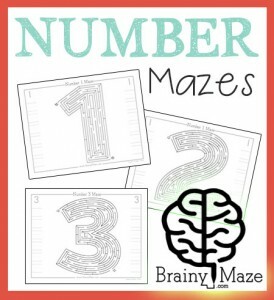 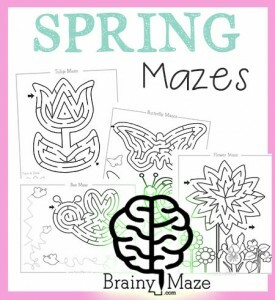 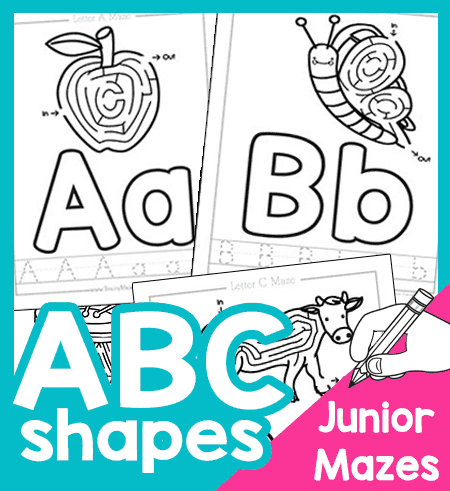 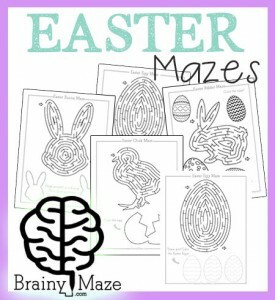 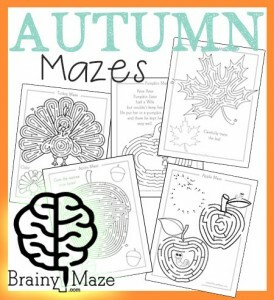 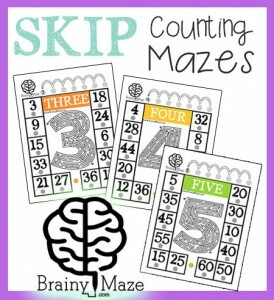 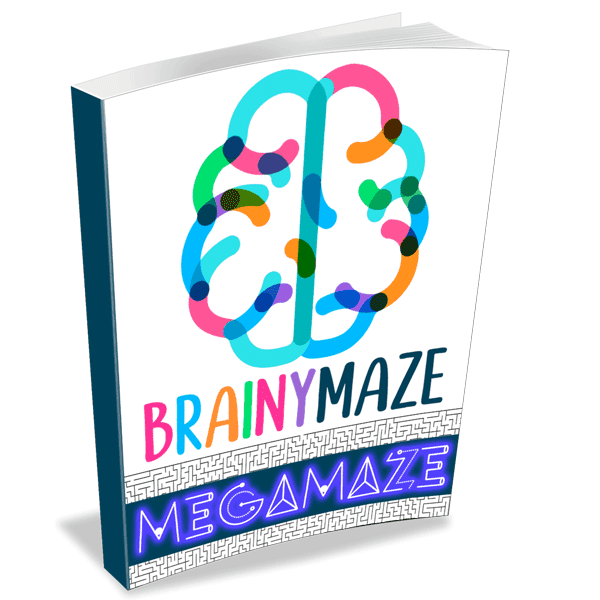 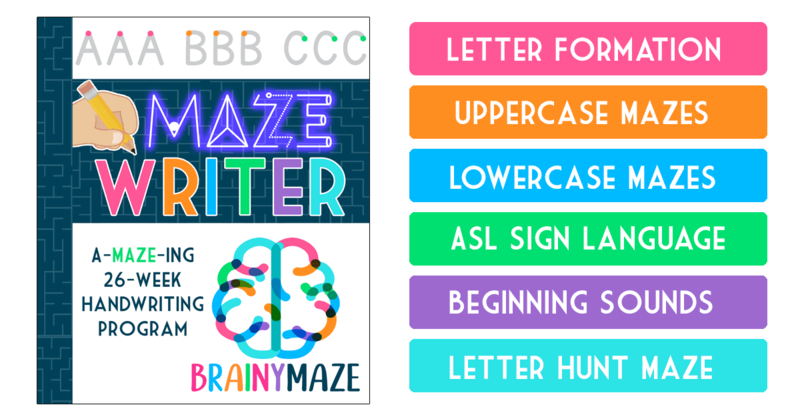 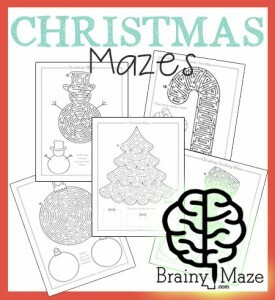 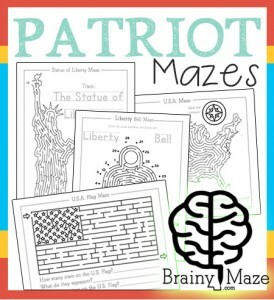 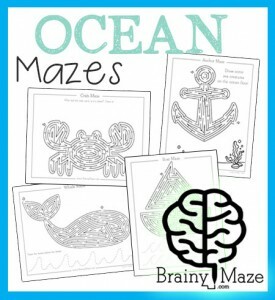 The mazes on this page are just right for your little ones to join along in the BrainyMaze fun! 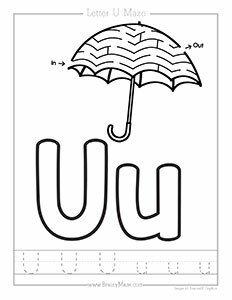 Not ready to subscribe? 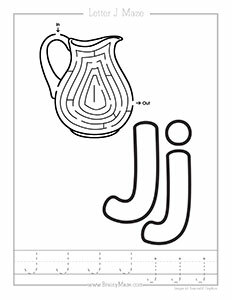 Print individual files below. 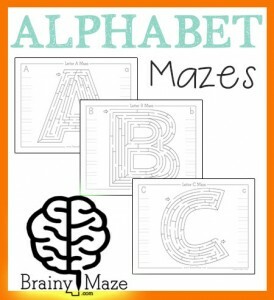 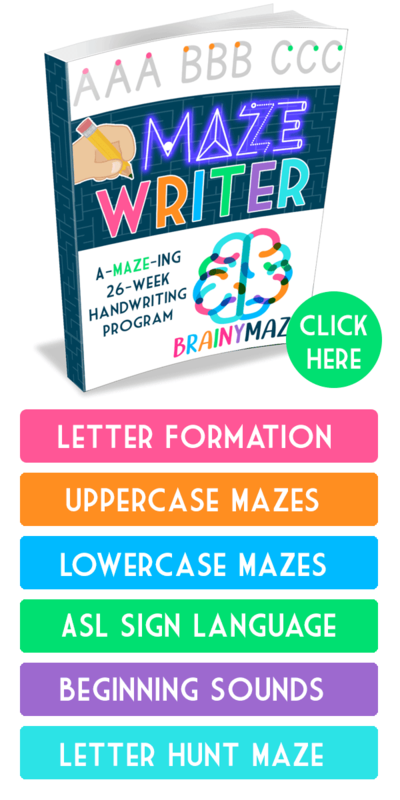 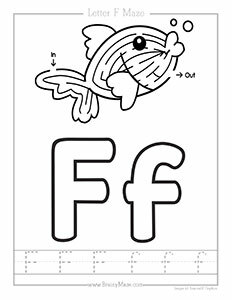 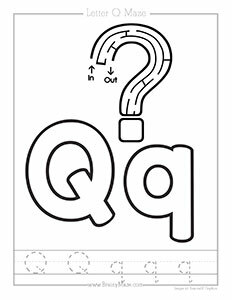 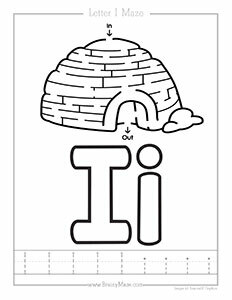 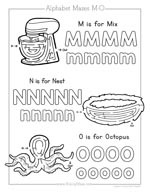 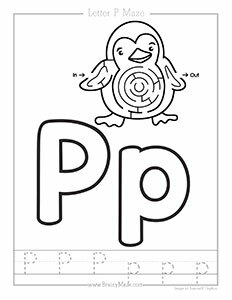 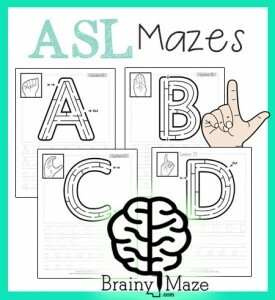 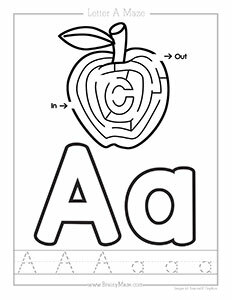 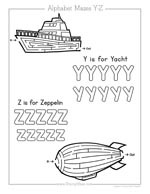 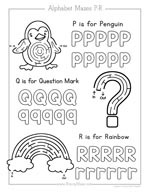 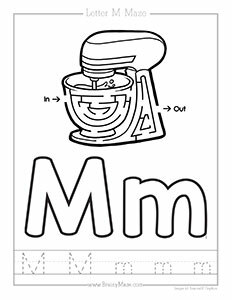 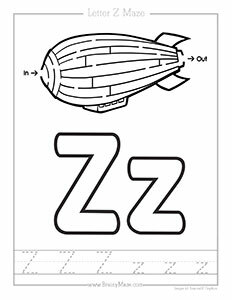 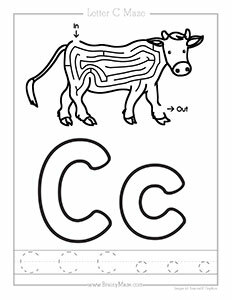 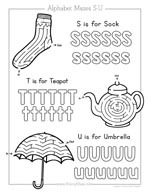 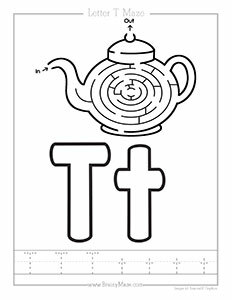 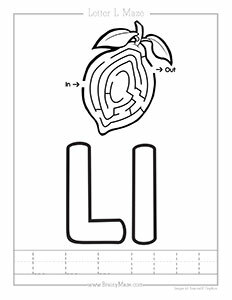 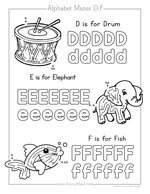 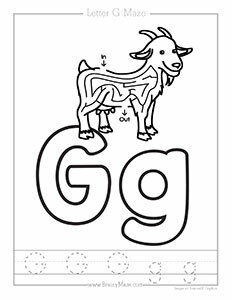 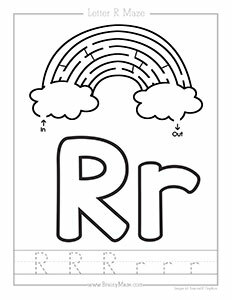 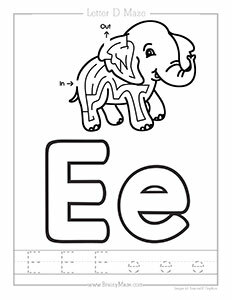 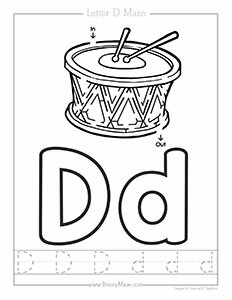 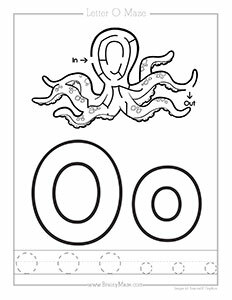 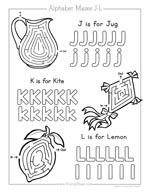 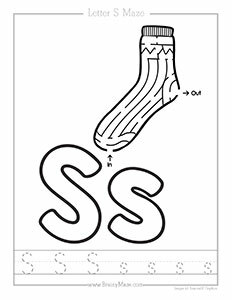 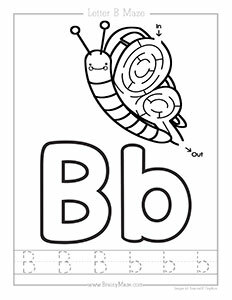 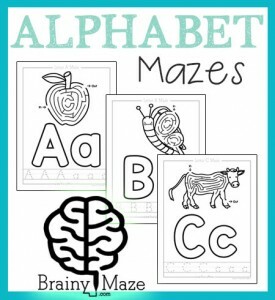 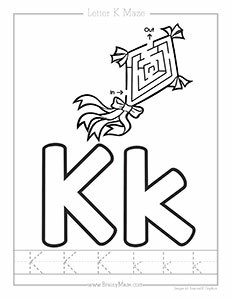 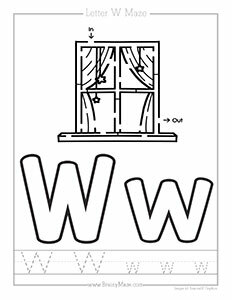 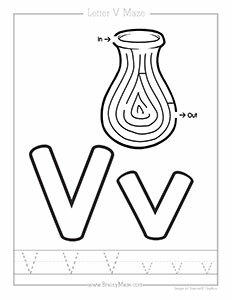 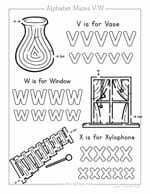 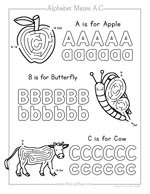 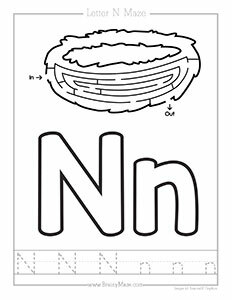 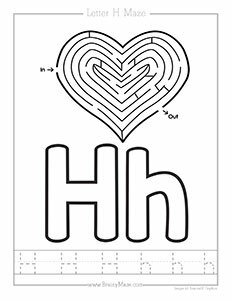 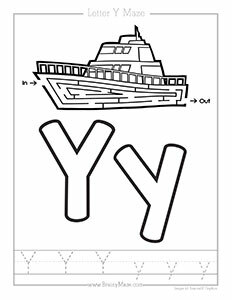 A simple handwriting worksheet with beginning letter mazes for each letter. 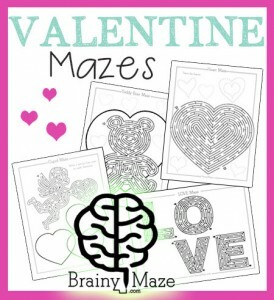 Love these Mazes? 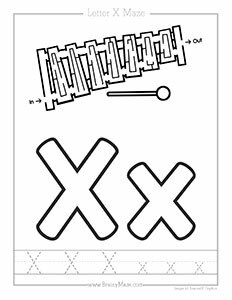 Create your own with Ramona M Graphics!